More than two months from now the world will know why many enjoyed the Percy Jackson and the Olympians series so much. It started out with The Lightning Thief and will continue on with The Sea of Monsters. It's a good thing that the movie adaptation for the second book in the series has a new director since it's getting more adventurous and fun as shown in the the trailer below. Check out the new trailer of Percy Jackson: Sea of Monsters, starring Logan Lerman as Percy Jackson, Brandon T. Jackson as Grover Underwood, Alexandra Daddario as Annabeth Chase, Douglas Smith as Tyson and Leven Rambin as Clarisse La Rue. 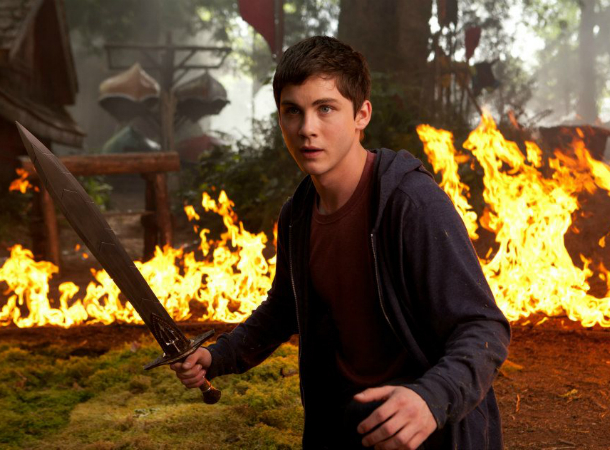 Watch the whole Percy Jackson: Sea of Monsters adventure on August 7, 2013 in cinemas near you.